Gone are the days when Richard Nixon and Henry Kissinger skillfully took advantage of the Sino-Soviet rivalry and played the two countries off against each other, extracting concessions from each. 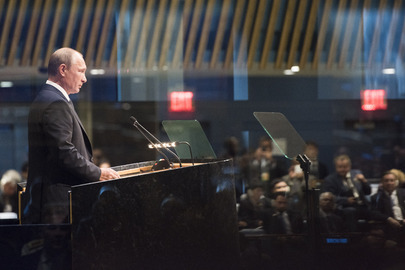 Slowly but surely, the strategic equation has markedly changed – and the Sino-Russian rapprochement signals a tectonic shift to Washington’s distinct detriment, a change largely due to U.S. actions that have pushed the two countries closer together. But there is little sign that today’s U.S. policymakers have enough experience and intelligence to recognize this new reality and understand the important implications for U.S. freedom of action. Still less are they likely to appreciate how this new nexus may play out on the ground, on the sea or in the air. Instead, the Trump administration – following along the same lines as the Bush-43 and Obama administrations – is behaving with arrogance and a sense of entitlement, firing missiles into Syria and shooting down Syrian planes, blustering over Ukraine, and dispatching naval forces to the waters near China. But consider this: it may soon be possible to foresee a Chinese challenge to “U.S. interests” in the South China Sea or even the Taiwan Strait in tandem with a U.S.-Russian clash in the skies over Syria or a showdown in Ukraine. A lack of experience or intelligence, though, may be too generous an interpretation. More likely, Washington’s behavior stems from a mix of the customary, naïve exceptionalism and the enduring power of the U.S. arms lobby, the Pentagon, and the other deep-state actors – all determined to thwart any lessening of tensions with either Russia or China. After all, stirring up fear of Russia and China is a tried-and-true method for ensuring that the next aircraft carrier or other pricey weapons system gets built. –The U.S. last week announced a $1.4 billion arms sale to Taiwan, placed sanctions on a Chinese bank for its dealings with North Korea, and labeled China the world’s worst human trafficker. On the eve of his arrival in Moscow, Xi gave an interview to Russia’s TASS news agency, in which he focused on missile defense – an issue particularly close to Vladimir Putin’s heart. Xi focused on U.S. deployment of Terminal High Altitude Area Defense (THAAD) missiles to South Korea as “disrupting the strategic balance in the region” and threatening the security interests of all countries in the region, including Russia and China. If Sino-Russian “tradition” is meant to describe relations further back than three decades ago, Putin exaggerates. It was not always so. A half-century retrospective on the vicissitudes of Russia-Chinese relations illustrates the difficult path they have taken. More important, it suggests their current closeness is not likely to evaporate any time soon. Like subterranean geological plates shifting slowly below the surface, changes with immense political repercussions can occur so gradually as to be imperceptible until the earthquake. As CIA’s principal Soviet analyst on Sino-Soviet relations in the 1960s and early 1970s, I had a catbird seat watching sign after sign of intense hostility between Russia and China, and how, eventually, Nixon and Kissinger were able to exploit it to Washington’s advantage. The grievances between the two Asian neighbors included irredentism: China claimed 1.5 million square kilometers of Siberia taken from China under what it called “unequal treaties” dating back to 1689. This had led to armed clashes during the 1960s and 1970s along the long riverine border where islands were claimed by both sides. In the late 1960s, Russia reinforced its ground forces near China from 13 to 21 divisions. By 1971, the number had grown to 44 divisions, and Chinese leaders began to see Russia as a more immediate threat to them than the U.S., which had fought Chinese troops during the Korean War in the 1950s and refused to recognize the country’s communist leadership diplomatically, maintaining the fiction that Chiang Kai-shek’s Nationalists on Taiwan remained the legitimate government of China. 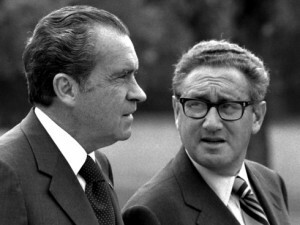 Enter Henry Kissinger, who visited Beijing in 1971 to arrange the precedent-breaking visit by President Richard Nixon the next year. What followed was some highly imaginative diplomacy orchestrated by Kissinger and Nixon to exploit the mutual fear China and the USSR held for each other and the imperative each saw to compete for improved ties with Washington. Washington’s adroit exploitation of its relatively strong position in the triangular relationship helped facilitate major, verifiable arms control agreements between the U.S. and USSR and the Four Power Agreement on Berlin. The USSR even went so far as to blame China for impeding a peaceful solution in Vietnam. It was one of those felicitous junctures at which CIA analysts could jettison the skunk-at-the-picnic attitude we were often forced to adopt. Rather, we could in good conscience chronicle the effects of the U.S. approach and conclude that it was having the desired effect. Because it was. Hostility between Beijing and Moscow was abundantly clear. In early 1972, between President Nixon’s first summits in Beijing and Moscow, our analytic reports underscored the reality that Sino-Soviet rivalry was, to both sides, a highly debilitating phenomenon. Not only had the two countries forfeited the benefits of cooperation, but each felt compelled to devote huge effort to negate the policies of the other. A significant dimension had been added to this rivalry as the U.S. moved to cultivate better relations simultaneously with both. 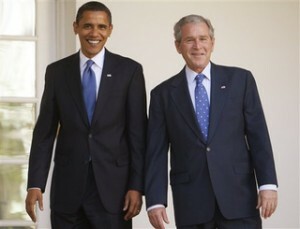 The two saw themselves in a crucial race to cultivate good relations with the U.S. The Soviet and Chinese leaders could not fail to notice how all this had increased the U.S. bargaining position. But we CIA analysts saw them as cemented into an intractable adversarial relationship by a deeply felt set of emotional beliefs, in which national, ideological, and racial factors reinforced one another. Although the two countries recognized the price they were paying, neither seemed able to see a way out. The only prospect for improvement, we suggested, was the hope that more sensible leaders would emerge in each country. But this seemed an illusory expectation at the time. We were wrong about that. Mao Zedong’s and Nikita Khrushchev’s successors proved to have cooler heads. The U.S., under President Jimmy Carter, finally recognized the communist government of China in 1979 and the dynamics of the triangular relationships among the U.S., China and the Soviet Union gradually shifted with tensions between Beijing and Moscow lessening. Yes, it took years to chip away at the heavily encrusted mistrust between the two countries, but by the mid-1980s, we analysts were warning policymakers that “normalization” of relations between Moscow and Beijing had already occurred slowly but surely, despite continued Chinese protestations that such would be impossible unless the Russians capitulated to all China’s conditions. For their part, the Soviet leaders had become more comfortable operating in the triangular environment and were no longer suffering the debilitating effects of a headlong race with China to develop better relations with Washington. Still, little did we dream back then that as early as October 2004 Russian President Putin would visit Beijing to finalize an agreement on border issues and brag that relations had reached “unparalleled heights.” He also signed an agreement to jointly develop Russian energy reserves. The U.S.-backed coup in Ukraine on Feb. 22, 2014, marked a historical breaking point as Russia finally pushed back by approving Crimea’s request for reunification and by giving assistance to ethnic Russian rebels in eastern Ukraine who resisted the coup regime in Kiev. On the global stage, Putin fleshed out the earlier energy deal with China, including a massive 30-year natural gas contract valued at $400 billion. The move helped Putin demonstrate that the West’s post-Ukraine economic sanctions posed little threat to Russia’s financial survival. As the Russia-China relationship grew closer, the two countries also adopted remarkably congruent positions on international hot spots, including Ukraine and Syria. Military cooperation also increased steadily. Yet, a hubris-tinged consensus in the U.S. government and academe continues to hold that, despite the marked improvement in ties between China and Russia, each retains greater interest in developing good relations with the U.S. than with each other. The sports slogan has it that nothing is over “until the fat lady sings,” but on this topic, her tones are quite clear. The day of the U.S. playing China and Russia off against each other is no more. 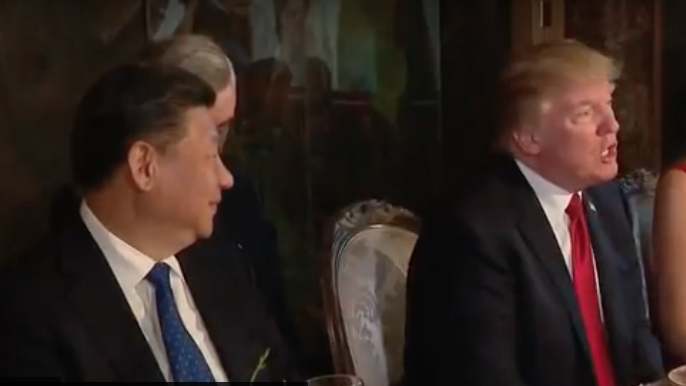 One perhaps can hope that someone in the U.S. government will inform President Trump that his Russian and Chinese counterparts are singing from essentially the same songbook, the unintended result of arrogant miscalculations by his immediate predecessors. Implications for U.S. national security are enormous.